Roger Brown is a corporate headhunter, and he’s a master of his profession. But one career simply can’t support his luxurious lifestyle and his wife’s fledgling art gallery. At an art opening one night he meets Clas Greve, who is not only the perfect candidate for a major CEO job, but also, perhaps, the answer to his financial woes: Greve just so happens to mention that he owns a priceless Peter Paul Rubens painting that’s been lost since World War II - and Roger Brown just so happens to dabble in art theft. The author of the best-selling Harry Hole series now gives us an electrifying stand-alone novel set inside Oslo’s maze of especially venal, high-level corruption. Sonny Lofthus is a strangely charismatic and complacent young man. Sonny’s been in prison for a dozen years, nearly half his life. The inmates who seek out his uncanny abilities to soothe leave his cell feeling absolved. They don’t know or care that Sonny has a serious heroin habit - or where or how he gets his uninterrupted supply of the drug. Or that he’s serving time for other peoples’ crimes. Sonny took the first steps toward addiction when his father took his own life rather than face exposure as a corrupt cop. Now Sonny is the seemingly malleable center of a whole infrastructure of corruption: prison staff, police, lawyers, a desperate priest - all of them focused on keeping him high and in jail. And all of them under the thumb of the Twin, Oslo’s crime overlord. As long as Sonny gets his dope, he’s happy to play the criminal and the prison’s in-house savior. But when he learns a stunning, long-hidden secret concerning his father, he makes a brilliantly executed escape from prison - and from the person he’d let himself become - and begins hunting down those responsible for the crimes against him.... The darkly looming question is: Who will get to him first - the criminals or the cops? Jo Nesbo has said there are advantages and disadvantages when writing about the same universe. The author and reader sharing a knowledge of the back-story might make things a little easier in some cases, but there is a significant challenge in keeping the characters fresh and interesting. 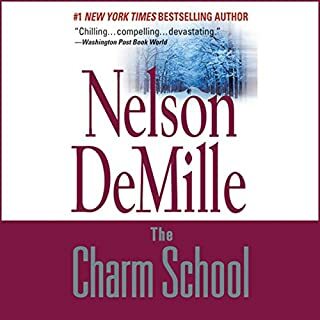 I am a big fan of the Harry Hole series and this book represented a 17 hour investment of my time in a different Nesbo universe - would it be up to the standard set in 12 Harry Hole books? It was. I've always loved the insights Jo Nesbo gives us into his characters and their motivations. This book had more of the same. It was actually a little refreshing to be immersed in this authors style of writing and not revisiting the same old battles that Harry Hole contends with. We get introduced to different detectives with different flaws and a hero who is viewed by many as a villain. While listening to this book there never was a moment where i looked at the time remaining and felt like there was work. It was more like - ten hours left ... I don't want this to end. Being familiar with this authors style at the 16 hour mark I remember having an aha moment. The current was pushing me in one direction and this was fine, but having been tricked so many times before I actually anticipated a twist in the plot. This was one of the few times I've twigged to a Nesbo formula. That did not detract in any way from the book and there were still plenty of Nesbo zigs when I was ready to zag. In short, this is an excellent book and this review has not imparted any of the story line. Sometimes that is the best way to start a book. So download this gem and start listening. Much more than I expected! I am a Harry Hole fan, so I expected a good story. This was so much more. Built on the same format--police, criminals, an evil plot--but unexpected twists and turns with every page. Then the story became more about the people than the plot. Nesbo doesn't write 3-dimensional characters; he takes them even further. Any one following my reccomendations will know what a huge fan I am of Nesbo's Harry Hole series. That said I was a bit reticent to purchase this one based on some reviews and the publisher's summary. Fortunately I came accross Gail's review and she persuaded me to take the plunge. The beginning chapters, which are critical to understanding the mystery of the main character, were a bit tedious for me. I may have given up had it not been for my confidence in Nesbo's writing. Somewhere soon after the first few chapters, a remarkable sense of purpose reveals itself to the son as well as to the reader. As the story unravels so does the suspense. This is a fantastic story. The Son is a complex story of betrayal, shame, pennance, masterful revenge. It involves a great deal of great police work, with remarkable characters. Gildart Jackson does a great job with the narration. This is easily a five star book for me! I bailed out on this book about two hours in, but came back later and started over, and I was glad I did. This was the first Nesbø novel I have read and I was interested enough is his dark, psychological plot that I want to read more of his work. I really liked this story in the typically dark Scandinavian murder tradition, but the narrator was one of the most wooden readers I've ever listened to. In places it really ruined the story for me. I will avoid Gildart Jackson in the future. Even Better Than Previous Nesbos! Is it because these people way up there in the North of Europe have so many loooong nights? Is that why their novels are so dark and cold? This one is pure Nesbo. Which is to say... captivating to the point of kidnapping your attention away from the rest of life. Now... this starts slowly... the way winter comes on, y'know? But all at once you're in and wandering around inside of Nesbo's full-gust imagination. And Gildart Jackson has a voice that seems to grab its air from an impending thunderstorm. Y'know... a sense of oncoming menace but always just faintly felt. Liked this production and, didn't see the ending coming, yet it held together like nighttime blood pooled outside during Nesbo's Northern European winters. I was sure I was going to miss Harry Hole as the main character, but Nesbo did a wonderful job of providing a fascinating story. 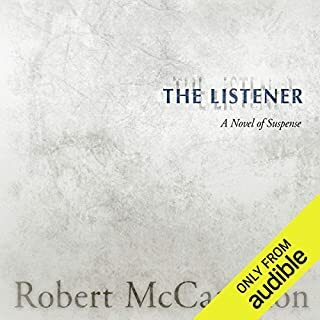 There wasn't a single moment during this 17 hour audio book that I thought the story was stuck or too long. This was a very smart story with Nesbo's usual twists and turns at the end. It is on my list to revisit again when I am craving the excellent story-telling of Jo Nesbo. The narrator kept the story moving at the right speed and tone. I think Jackson did a fantastic narration. My only warning is that you get lots of scary moments and cringe-worthy deaths, but that is what you get with every Nesbo story. Where does The Son: A Novel rank among all the audiobooks you’ve listened to so far? 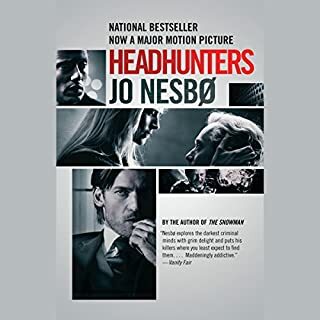 I have listened to hundreds, but this is one of my favorites, and definitely my favorite of Jo Nesbo's books. Definitely on the edge of my seat, every page beyond the first few. It took me a chapter or so to get hooked, but once hooked I couldn't stand to stop. A classic page-turner. Which character – as performed by Gildart Jackson – was your favorite? 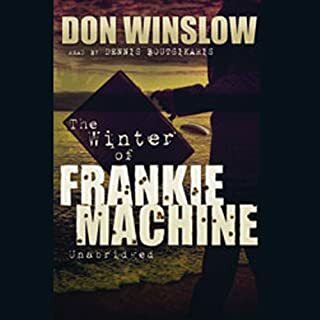 There are many great characters in this book, but the main character is magnetic and redemptive, as he is meant to be. The first thing I want to say is that many reviewers have given bad reviews to this narrator, and I have no idea why. 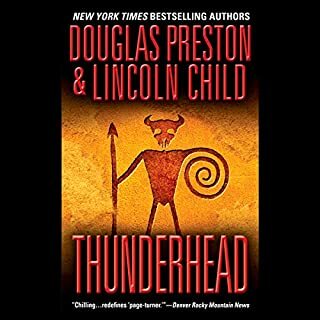 This is a terrific narrator. Beautiful narration. There are very few narrators that I really love, but I LOVE this one. There are so many narrators out there who mispronounce words, are lazy with inflection, or just generally don't try all that hard. Gildart Jackson does a nearly perfect job with this book. Every word is carefully-enunciated and perfectly-pronounced. The different voices are well thought-out and fleshed-out, believable and full of meaning. He is intelligent, believable, concise, precise, and extremely literate. I really don't know what people think they are talking about. As for the book, it's far and away my favorite of Nesbo's books. Is it formulaic? Yes. But masterfully-so, and perfectly-written, without a spare word or unedited passage. The pace is ideal and it is engaging on all sorts of emotional and moral levels. I am an optimist who loves dark Norwegian literature, so I guess I've found my ideal book. It is a perfect cliffhanger, written with sardonic humor, sensitivity, love, and an odd kind of hope. I love everything about this book. Don't miss it. It's hard to review Jo Nesbo novels. One tends to compare them against the author's previous work and it's hard to measure up. I did not think this was one of his best (it's not Snowman). Some of the plot twists are a bit too farfetched and there is never any good reason given for Sonny's ethereal qualities. (Did not really felt the novel needed him to be such an other-worldly guy...Simple goodness would have been just fine.) Still, the story moves with unrelenting pace and the mystery is a good one. Yes, I suspected how it would end sooner than I would have liked but I think that's simply because I am aware of Nesbo's tricks! If you have not read Nesbo before, try Snowman first. 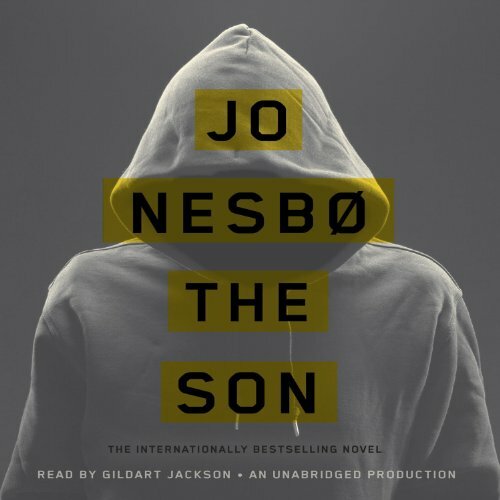 If you are a fan of Nesbo, by all means download The Son. And enjoy! When Nesbo deviates from his Harry Hole, it's always a wild ride. 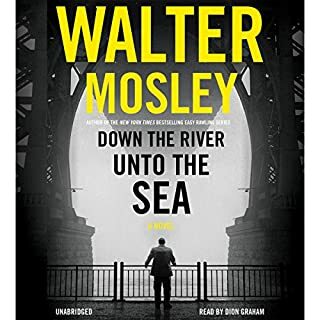 This book, though a cop book for sure, is all about the tinkerings of the human soul, without as much of Nesbo's usual fare of human psychosis. It's full of his great characters and he's an ever maturing master of cultivating the heroic in his protagonists, how ever vastly failed they may be. The elements of flawed mannishness and redemptive authority are as familiar here as Oslo is throughout all his books. And though Harry is here like a imprimatur of hard boiled cop'ness in Norway, he's not missed as all these new denizens are so vividly woven. Come in, meet The Son, and ask forgiveness.